Known to historians as "the First American," Benjamin Franklin is without a doubt the most accessible of America's founding fathers. His writings have inspired millions of Americans, and even now, more than 200 years after his death, his wit and humor still brighten lives all across the world. But what was this great man's view on faith? Was he really a Deist as so many historians have proposed? Was he a humanist like so many of his French friends? Is there any possibility that he could have been a Christian? In this unique volume, Bill Fortenberry has collected everything that Franklin wrote about his faith. From Franklin's admission that he became a Deist at the age of fifteen, to his letter to Ezra Stiles 69 years later, Fortenberry catalogues exactly how Franklin's religious views progressed throughout his life and gives us a glimpse of a side of Franklin that few Americans have ever seen. Do you know the name of the king of Israel who reigned before Saul? Do you know the name of the spy who told David everything Absalom was planning? Do you know why the Gospel of Mark is so much shorter than the other Gospels? In Unsung Heroes and Obscure Villains of the Bible, Bill Fortenberry explores the lives of biblical characters that you never learned about in Sunday School. Most people are familiar with men like Joshua and David or Paul and Timothy, but it is really the little guys who are the most crucial to the story of the Bible. These unsung heroes and obscure villains tell a tale of mystery and adventure that takes the Bible beyond a collection of Sunday School stories and turns it into a riveting thriller of the battle between good and evil. Have you ever wondered how some authors can claim that the founding fathers of America were Christians while other authors claim that those very same founders were atheists, deists or theistic rationalists? In this artfully written volume, Christian apologist Bill Fortenberry examines several of the quotes from our founding fathers that are frequently used to argue against the Christian heritage of America. In doing so, Fortenberry opens up to us a treasury of facts about our nation's founding that have been hidden by modern scholarship. With abundant references to the original writings of the founding era, Fortenberry provides American Christians with an invaluable defense of our nation’s Christian heritage. Denials of the Christian faith of various founders of America were circulated even during the lifetimes of these great men, and most of these denials have been proven false time and time again. Recently, however, a new accusation has been brought against those who played significant roles in the formation of our nation. It is said now that these men were neither Christians nor atheists or even Deists, but rather Theistic Rationalists. 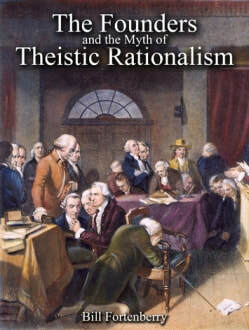 In this short booklet, Bill Fortenberry confronts one of the leaders of this movement, Gregg Frazer, and aptly exposes the flaws inherent in Frazer's book, The Religious Beliefs of America's Founders. This pocket sized expose is a must have for anyone interested in the debate over the religious beliefs of the founding fathers. A heart gripping tale of adventure, family, and friendship. 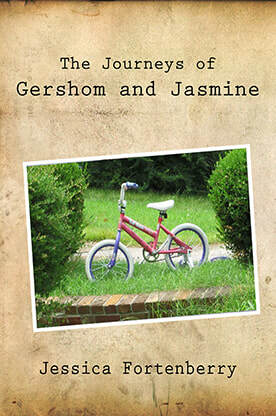 When Gershom finds out that he’s being moved to yet another foster home, he grabs his sister and together they run away to find their birth mother, who just happens to live eight states away, in Alabama. The siblings face hunger, loneliness, and fear, but with the help of strangers—and God—they manage to survive. When they arrive at their destination, what awaits them is not what they expected. Will the siblings ever find the family they are looking for? Jessica Fortenberry grew up as a missionary in Japan. She writes novels and short stories for children where she brings to life the adventures of children who suffer great loss and find comfort in the peace of the Lord.